Lancaster and Morecambe Kofukan Karate Club also known as "LMKKC" was created in 2007. We train in Lancaster, Morecambe, LMC and Milnthorpe. 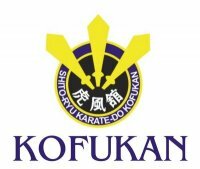 We practise Kofukan Shito-Ruy Karate-do style (one of the most widely known Karate styles in the world). Practice of Kata (form), Kumite (sparing) and self-defence applications makes the basis of club's training. Mental, technical and physical development of each member of the club is our priority. The club has a very friendly and supportive atmosphere for kids and adults alike. Kids sessions are often filled with karate-related games. We are committed to respecting your privacy. This notice is to explain how we may use personal information we collect before, during and after your membership with us. For all new members we offer: 2 First sessions FREE Just come to one of our sessions and try it out. Please ask the instructor for more information and application forms.